How To Clean A Dehumidifier? 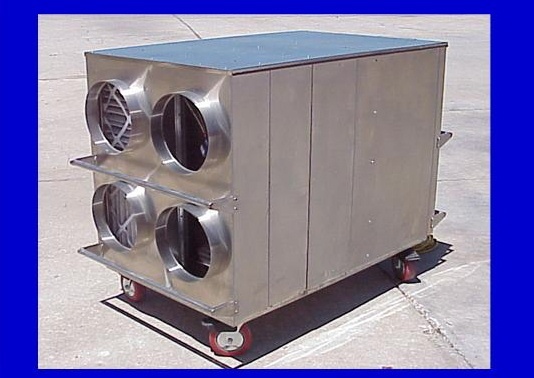 Dehumidifiers are generally pretty easy pieces of equipment to maintain. However there are some things that you need to know and be prepared to do to take care of your investment and to know it is working correctly. To start with, the air filter on the dehumidifier is important in getting the most out of your dehumidifier. The air filter will keep the coils or desiccant material clean of foreign material. When the coils or desiccant material is clean then you will get maximum benefit out of your unit. So one of the simplest preventive measures is to keep clean filters in the unit. Even with being very vigilant in keeping clean filters in the unit you will still need to open the unit and clean it once a year. Just like your home air conditioner needs a tune up once a year so does your dehumidifier. This is usually a pretty simple process though. Open your unit and look at the condensing coils. These coils can be cleaned off usually with some water making sure to remove any debris or build up you can see. Then if your unit has a pump that is easily accessible it is a good idea to open the pump and clean out any slime or debris from there, paying special attention to the float valve. Once this is all clean then put the unit back together and you are good to go for at least another year. If you own a desiccant dehumidifier then you will still need good clean filters to keep the desiccant material as clean as possible. If you see the performance slipping on the desiccant then you may need to clean out the desiccant wheel. Most desiccant machines now a days have a wheel full of desiccant material. Generally you can take off a belt and a bolt or two and the wheel comes out. On some smaller machines I have around the shop here, we take the wheel off and sit it on top of a five gallon bucket. Now the wheel is quite a bit larger than the bucket so don't worry about that. Then take a water hose, with a gentle spray, and wash the wheel out. Check the bucket from time to time to see if the wheel is clean or not. Once your water in the bucket is clean then you can reassemble the desiccant dehumidifier. Then we like to run the desiccant to dry the wheel good. Following these steps will help you get the most performance out of your units. This article was published on Wednesday 04 September, 2013.